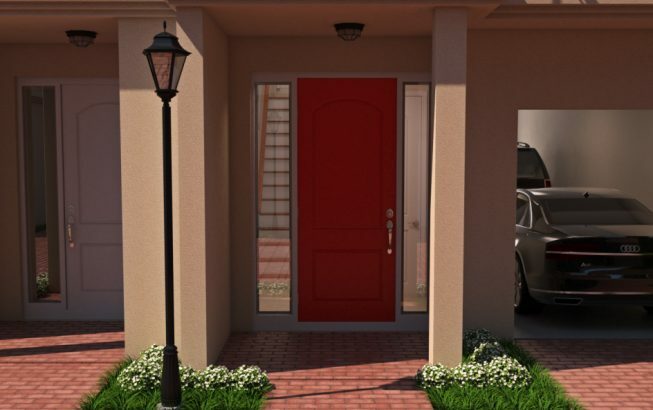 Starting on the ground floor level you could enter your townhome one of two ways: (1) through the front door into an entrance foyer or (2) press your electric garage door opener and drive effortlessly into your spacious double-car garage. 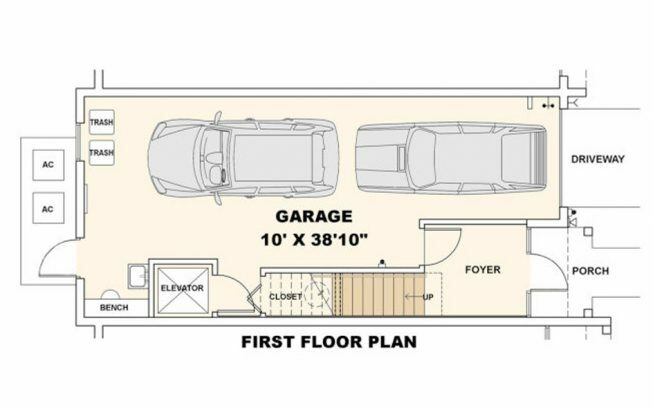 There is an elevator access landing conveniently located in the garage. There is also a wet sink and a work bench located in the garage as well as extra closet storage space under the stairs. 10' 0" x 38' 10"